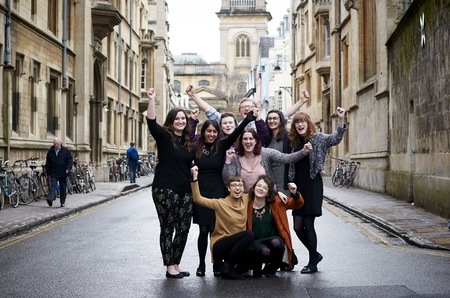 Student Minds is the UK’s student mental health charity. We empower students and members of the university community to look after their own mental health, support others and create change. University brings a range of unique challenges including academic, financial and social pressures, with one in three students reporting psychological distress. Alongside this, the peak age of onset of mental illness overlaps with the median age of the majority of students; with 75 per cent of mental health difficulties developing by the mid twenties. Sadly over the past few years we have seen a rise in students dropping out of university and in the number of student deaths by suicide. Student Minds believes it does not need to be like this. Effective early intervention, preventive approaches and ongoing support for both those with and those supporting someone with mental health difficulties would improve the futures of millions of young people. 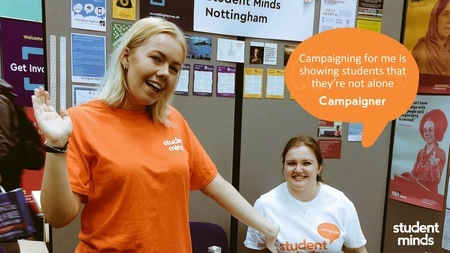 This is why Student Minds train students and university staff to deliver student-led peer support interventions as well as research-driven workshops and campaigns. By working collaboratively across sectors, we share best practice and ensure that the student voice influences decisions about student mental health.